Arrangements for marriage must be made by appointment ONLY; with a Priest or Deacon at the Rectory at least 6 months prior to the wedding date. 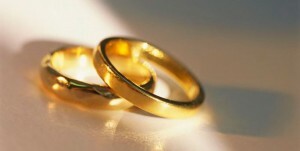 Please visit pre-cana.org for complete information about marriage preparation in the Diocese. Purchase a commemorative brick in the Pathway to prayer via credit card online! Submit your weekly offering via credit card online. Click the button to learn more.